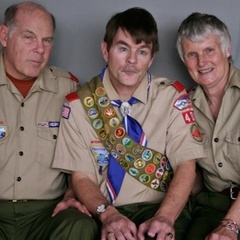 Scout Derek Connell (C) talks with his Scoutmasters Richard (L) and Claudia. Listen here. Lee Mottern tells his girlfriend, Linda Eldredge, a story about his Uncle Abe. As children, Lee Mottern and his cousin would visit his Uncle Abraham and Aunt Hatti during the summer. Here, Lee tells his girlfriend, Linda Eldredge, one of his childhood memories of that time. Steven Wells came to StoryCorps in Macon, Geogia with his daughter, Jennifer. Here Steven tells Jennifer how he felt about fatherhood. Betsy Brooks tells her boyfriend, John Grecsek, about her father. Growing up, Betsy Brooks had a turbulent relationship with her father, Charles. He was a military man and ruled his household with a firm hand. Years later, when he was diagnosed with Alzheimer's, their relationship took a turn. Here, Brooks tells her boyfriend, John Grecsek, about her relationship with her father. 75-year-old Julian Walker tells his daughter, Julia Walker Jewell, about an accident his father had as a young boy. Julian Walker's father, Robert Walker, grew up in a small farming town in North Carolina. At the age of 5, Robert was severely injured in a farming accident. Here, Walker tells his daughter, Julia Walker Jewell, one of his lasting memories of his father. In the summer of 1991, Bryan Lindsay was riding his bike on a Brooklyn street when he was hit by a van and almost killed. He was seven years old at the time. Rowan Allen was the paramedic on the scene, and recently the two men sat down at StoryCorps to remember that day. Thomas Weller has spent the last 50 years helping strangers who break down on the highway. At StoryCorps he remembered the night, as a teenager in Illinois, that he discovered his calling. Thompson Williams grew up in Oklahoma as one of eight children. 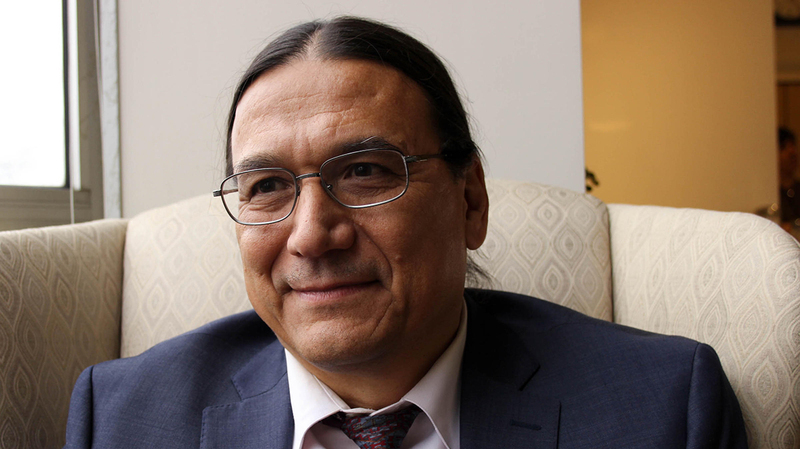 His father, Melford Williams, was a tribal leader of the Caddo Nation and a World War II veteran who had a big impact on Thompson’s life. At StoryCorps, Thompson’s son, Kiamichi-tet, sat down with his dad to learn more about his grandfather. 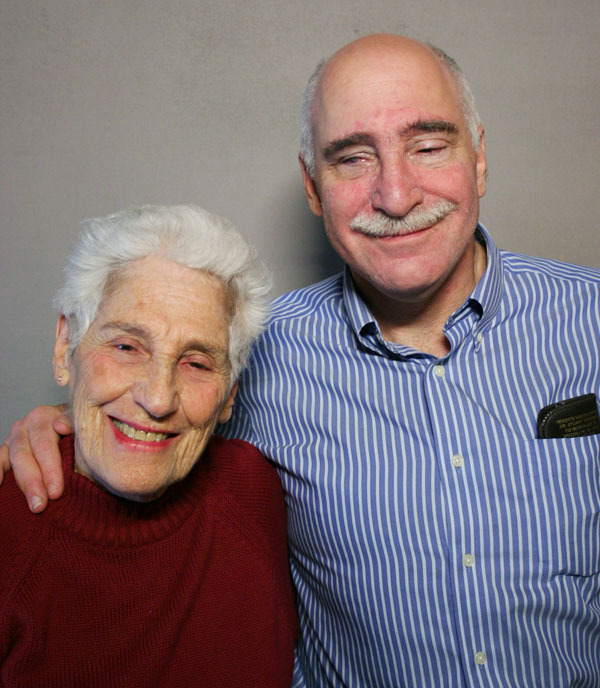 90-year-old Rita Fischer and her son Jay interviewed each another at a StoryCorps booth in New York City. They recalled a conversation they had back in the 1980s, when Jay first told Rita he was gay. Warning: This clip features senior citizens dropping ‘f’ bombs. Rita Fischer has walked in New York’s AIDS Walk since 1986. She has raised more than $800,000 in that time. Some students in the Spring Branch Independent School District in Texas dreaded lunchtime. The school cafeteria meant humiliation because their parents couldn’t afford a hot lunch. The alternative for these kids was a cold cheese sandwich. Anyone seen leaving the lunch line with that on their plate was marked as being poor. But that changed when school volunteer Kenny Thompson saw it happen. Kenny recently told that story to kids he works with, 13-year-old Gary Barber and 15-year-old Dakota Gibson. Thanks to Kenny’s efforts, two school districts in Houston have changed their lunch policy. Now all kids receive the same lunch, whether or not they can afford it. Anne Purfield (L) and Michelle Dynes (R) are epidemiologists at the Centers for Disease Control and Prevention (CDC). When they returned to the U.S., they came to StoryCorps to talk about what they saw. 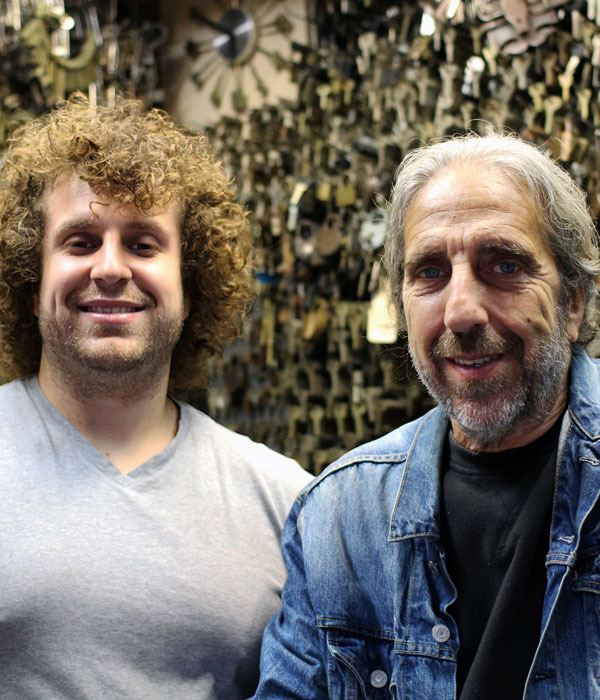 For Phil Mortillaro, locksmithing was a summer job that turned into a lifelong passion. He started in the trade shortly after he left school in the 8th grade. All five of his children grew up in his shop in Greenwich Village, but it was his youngest son, Philip, who has followed in his father’s footsteps. 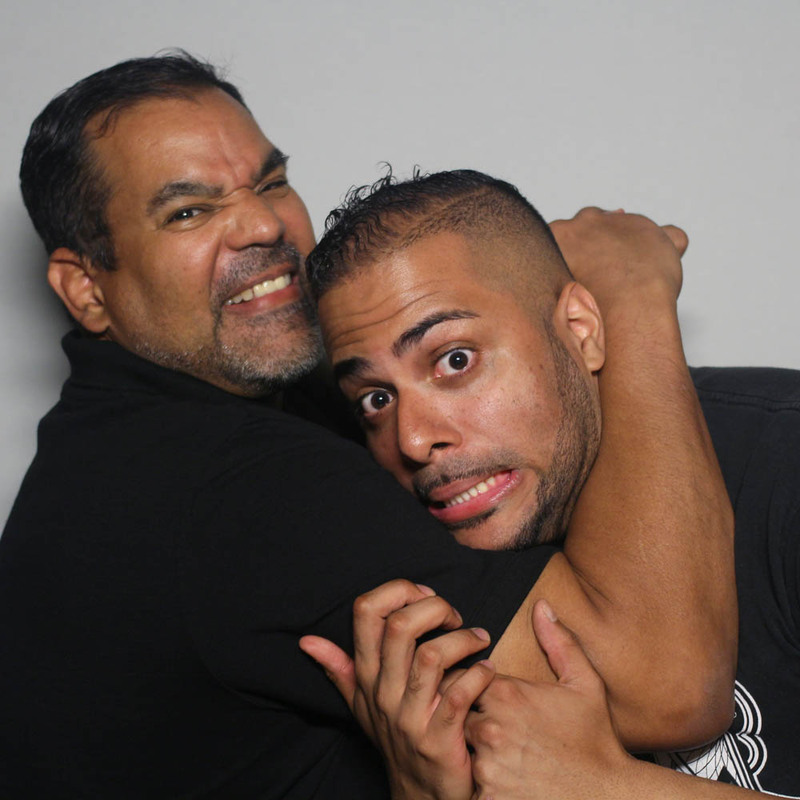 Father and son sat down for a conversation at StoryCorps. Ron Riveira is a hospice nurse in California. He’s also a veteran who served as a Navy corpsman and medic for the Marines during the 1990s. While deployed overseas, he crossed paths with Jason Deitch, who was an Army medic. 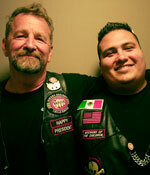 They reconnected years later back in the States, and recently had a conversation for StoryCorps. Here, Ron remembers his grandmother and grandfather -- a Korean War vet -- who helped raise him. Retired Army Sgt 1st Class Max Voelz first recorded in 2011 to remember his wife, Staff Sgt Kim Voelz. They met on Valentine’s Day, while training to work in Explosive Ordinance Disposal–the Army’s elite bomb squad. Both Max and Kim were sent to Iraq in 2003. One night, Max called in the location of an explosive and Kim was sent to disarm it. She did not survive the mission. Around the time Max recorded his first interview, he turned to another bomb tech, Sgt Mary Dague, for support. Mary lost both of her arms in Iraq. She talked Max through his lowest points, but they didn’t meet face to face until years later, when they recorded for StoryCorps. Miguel Alvarez (L) and Maurice Rowland (R) remember caring for residents at an assisted living home, where they were a janitor and a cook, when it closed suddenly, leaving many elderly residents abandoned. In 2013, Maurice Rowland (R) was working as a cook at Valley Springs Manor, an assisted living home for elderly residents in California. He got his friend Miguel Alvarez (L) a job there as a janitor last fall. But in October of that year the company that managed the home suddenly shut it down, leaving many of the elderly residents with nowhere to go. The staff stopped being paid so they all left, except for Maurice and Miguel. At StoryCorps they remembered caring for abandoned residents until the fire department and sheriff took over three days later. Ruth Coker Burks was in her early 20s and raising a small child when the AIDS epidemic hit Arkansas, her home state. Although she had no formal medical training, Ruth took it upon herself to care for AIDS patients who were abandoned by their families and medical professionals who feared the disease. 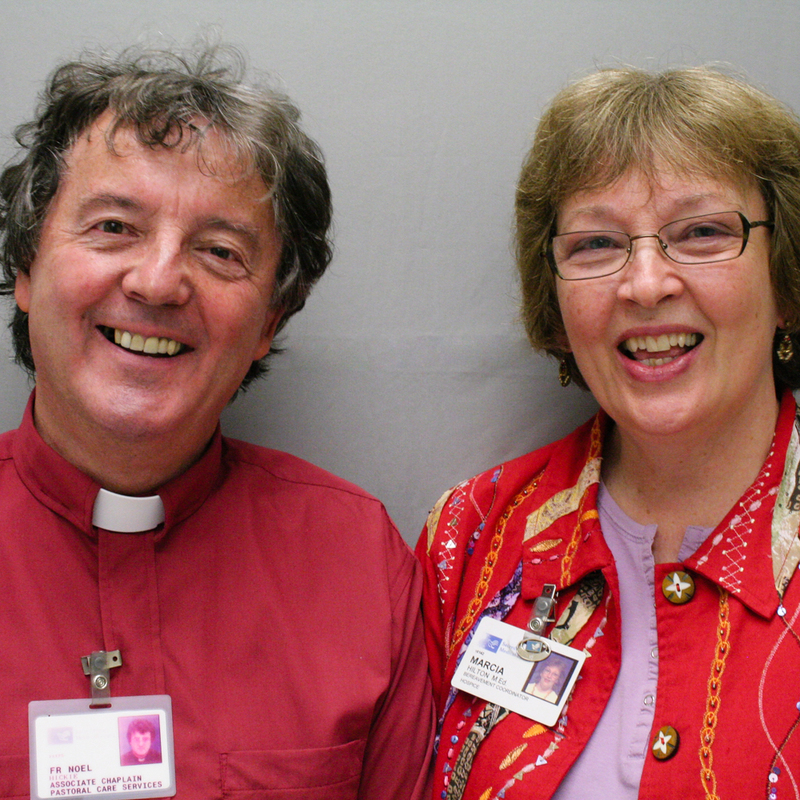 Ruth estimates that she has cared for nearly 1000 people since the 1980s. One of those people was Paul Wineland’s partner. 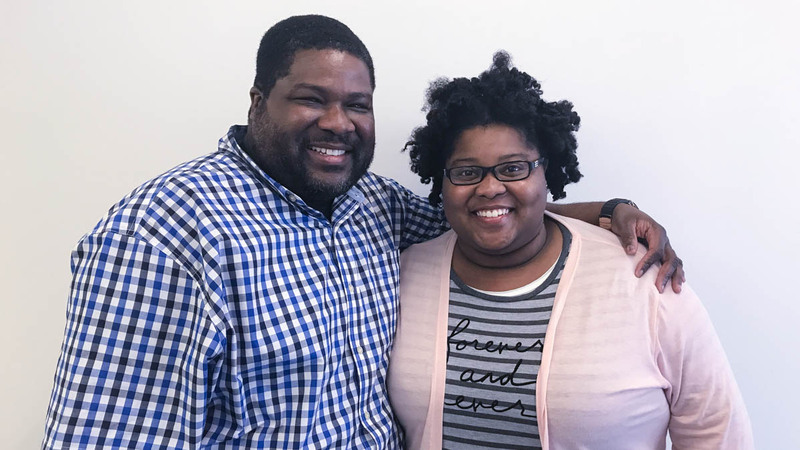 At StoryCorps Ruth told Paul about how she got started after visiting a friend at a hospital where one of the state’s early AIDS patient was dying. Listen to Ruth’s interview with Jim Harwood, the father of another AIDS patient she cared for during this time. Sean Fitzpatrick and Officer John Gately remember the day back in 2003 when Sean came to school with a gun. Eleven years ago, Sean Fitzpatrick was a high school junior in Spokane, Washington. 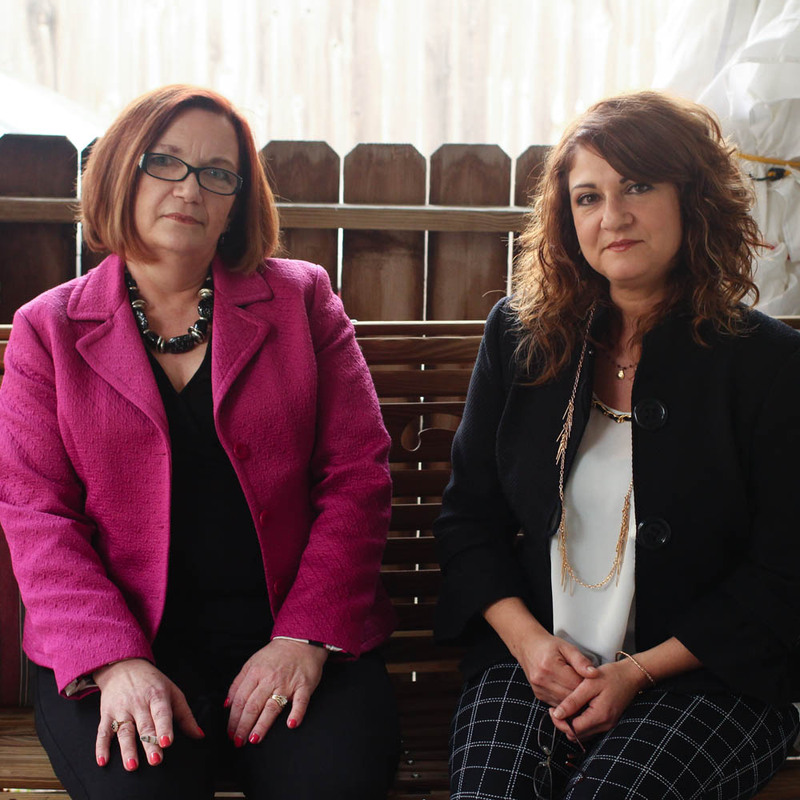 He had developed paranoid schizophrenia and was hearing voices -- but he didn’t tell anyone. One morning, Sean went to school with a gun and a plan -- to barricade himself in a classroom, pretend he had hostages, and force police to kill him. Sean’s plan didn’t work -- but at the end of the standoff he was shot in the face and still has difficulty speaking. John Gately of the Spokane Police Department was the officer assigned to negotiate with Sean. 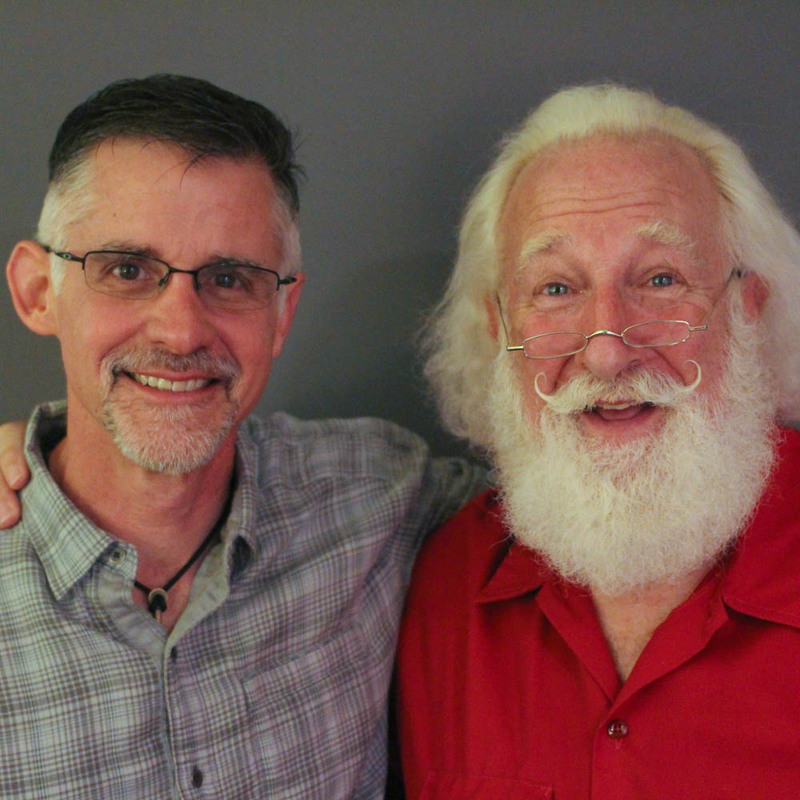 They recently sat down at StoryCorps to remember that day in 2003. 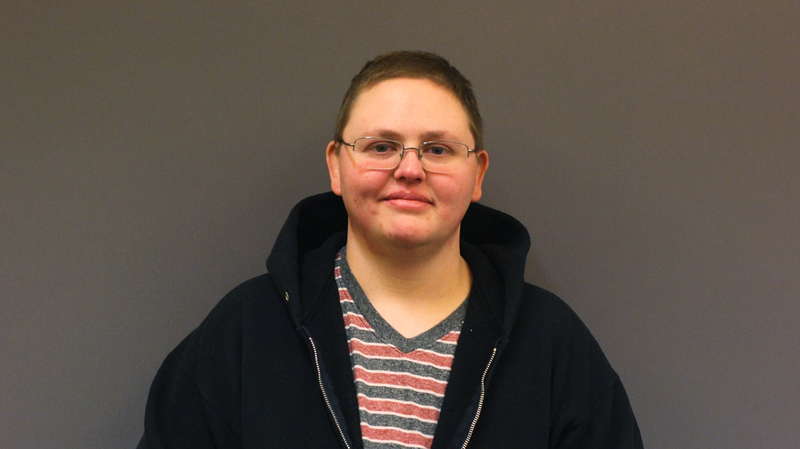 Sean now works to educate law enforcement on handling encounters with people in the midst of a mental health crisis. Lucille Horn, 95, tells her daughter, Barbara, about the baby incubator exhibit at Coney Island that saved her life. For decades, Brooklyn’s Coney Island was known for sideshows featuring tattooed ladies, sword swallowers, and Dr. Martin Couney’s incubator babies. Dr. Couney pioneered the use of incubators to keep premature infants alive in the late 1800s. But the medical establishment initially rejected the practice. So, each summer for 40 years, Dr. Couney funded his work by setting up an exhibition of the babies and charging the public admission. Parents didn’t have to pay for the medical care, and many children survived who would have never had a chance otherwise. Ninety-five-year-old Lucille Horn was one of them. Here, she tells her daughter, Barbara, about spending the summer of 1920 in an incubator on Coney Island. Flight nurses Wilson Matthews and Jeanne Yeatman talk about their work aboard emergency response helicopters and their attempts to save a child who was severely injured in a bicycle accident. 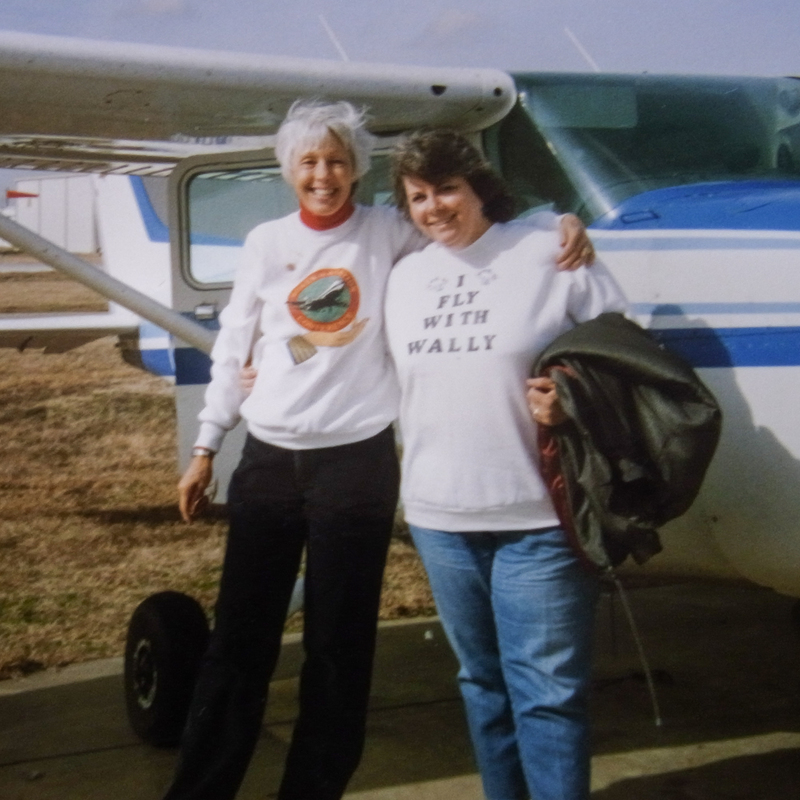 For more than a decade, Wilson Matthews and Jeanne Yeatman worked together as flight nurses, caring for patients being transported to hospitals on emergency response helicopters. 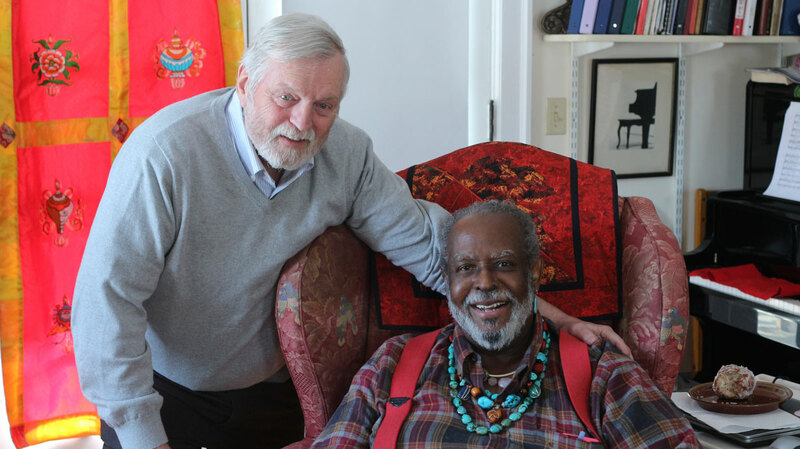 They came to StoryCorps to talk about their most memorable flight, which took place in 2001. Wilson and Jeanne were called in to save a 13-year-old named Stephen Wright, who had been severely injured in a bike accident. To learn more about Stephen Wright, visit his family’s memorial website, Help for Those Who Grieve. Roberto Olivera tells his wife, Debra, about growing up with an abusive stepfather and how his mother helped him escape. Roberto Olivera grew up in the 1960s just outside of Los Angeles, California. As a teenager, he worked multiple jobs to support his family, but would come home to a physically and verbally abusive stepfather. 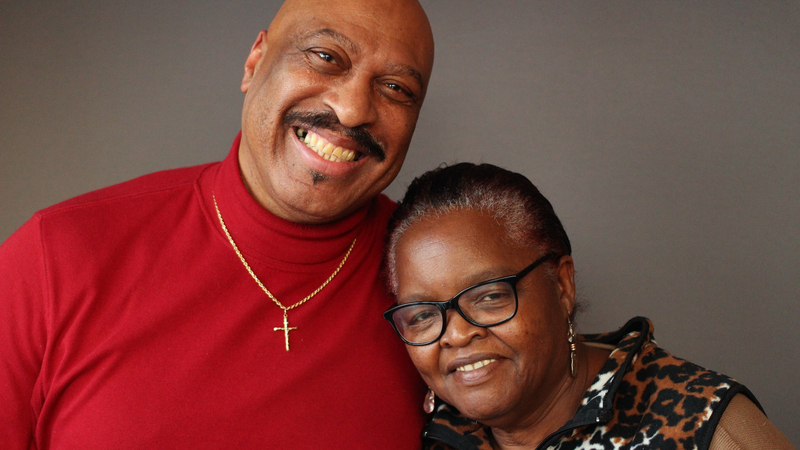 At StoryCorps, Roberto tells his wife, Debra, about how his mother helped him escape. Tyra Treadway and her daughter, Ardyn, remember their husband and father, Dr. James Kent Treadway, a beloved pediatrician in New Orleans. Dr. Treadway committed suicide three months after Hurricane Katrina. Dr. James Kent Treadway was a beloved pediatrician in New Orleans for nearly 30 years. Children loved him for his eccentric costumes and his ability to make even the most nervous patients laugh. But after Hurricane Katrina, hearing his patients’ grief took a toll on him. Two months after the storm, he committed suicide. 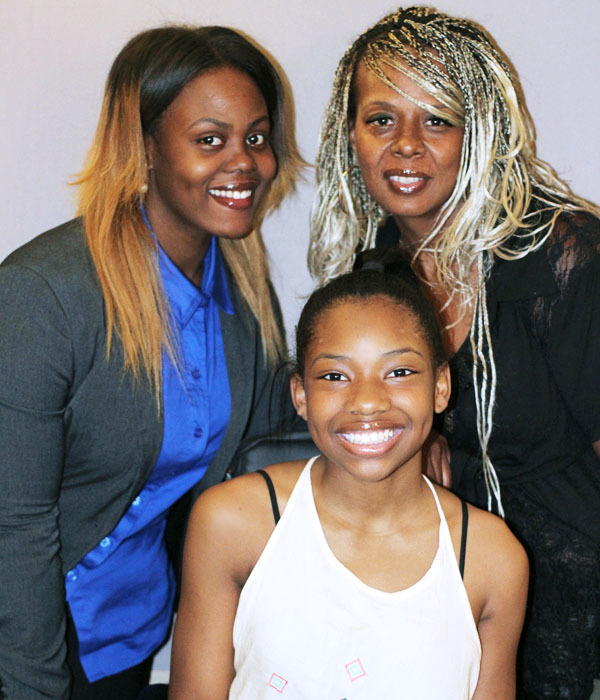 At StoryCorps, his wife, Tyra Treadway, and his daughter, Ardyn, remember him. Adam Graff, a member of New Orleans' all-volunteer, mental health crisis unit, speaks with his wife, Jacqueline, about the surge in patients after Hurricane Katrina. Adam Graff is a member of New Orleans’ all-volunteer, mental health crisis unit. The group works with the New Orleans Police Department and is often described as a SWAT team for mental illness and suicide crisis situations. After Hurricane Katrina, Adam and his colleagues helped residents cope. 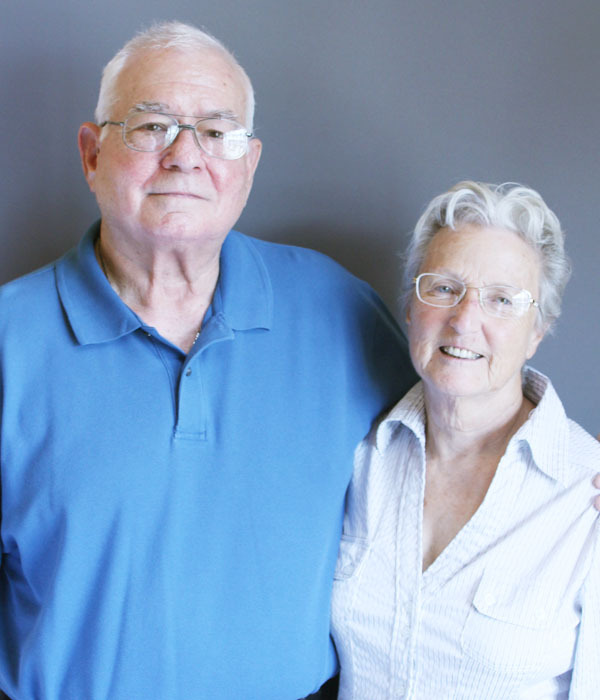 At StoryCorps, he sat down with his wife, Jacqueline, to talk about his work. 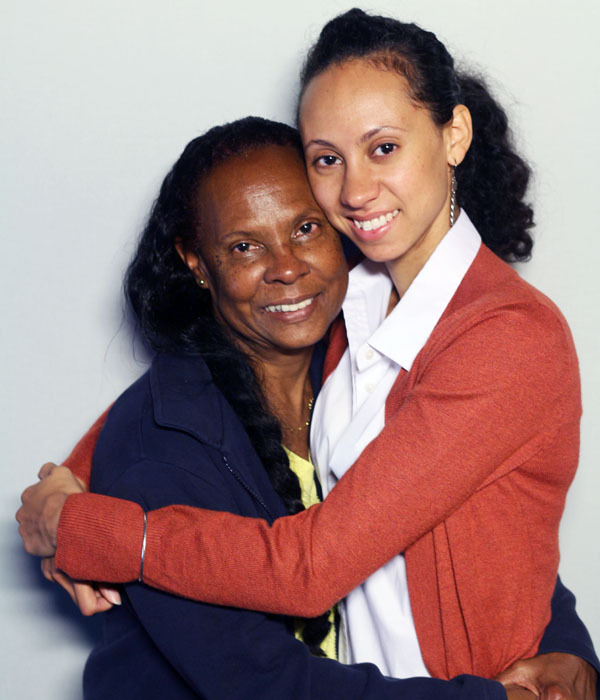 With her mother away, Chloe spent a great deal of time at her grandparents’ home becoming especially close with her grandmother, Doris Louise Rolison. Despite living in the Arizona desert, Doris, who died in May, 1988, at the age of 67, maintained a lush garden of herbs and vegetables. Chloe would help harvest the food to make dishes from recipes found in one of her grandmother’s treasured cookbooks. At StoryCorps, Chloe remembers the happy memories and life lessons taught to her by her grandmother, many of which took place while cooking in Doris’ kitchen. Tom Houck shares memories of dropping out of high school in 1965 to fight for civil rights, and becoming Dr. Martin Luther King, Jr.’s personal driver. When bee season in New York City begins in early spring, that means retired police detective (and unofficial NYPD beekeeper) Anthony “Tony Bees” Planakis gets busy tending to his hives and rescuing swarms. Tony Bees didn’t always love bees. In fact, it took a long time for his beekeeper father to convince him of their beauty. Ultimately, Tony became enamored with honey bees and even has a tattoo dedicated to his affection for them. He says it’s in his blood; he’s a fourth generation beekeeper whose family hails from Crete. At StoryCorps, Anthony talked about what drew him to working with bees, and what he’s learned from them. Tony retired from the NYPD in 2014. He now works as a private consultant and contractor removing hives and swarms all over the New York City region. When bee season in New York City begins in early spring, that means retired police detective (and unofficial NYPD beekeeper) Anthony “Tony Bees” Planakis gets busy tending to his hives and rescuing swarms. Tony Bees didn’t always love bees. In fact, it took a long time for his beekeeper father to convince him of their beauty. Ultimately, Tony became enamored with honey bees and even has a tattoo dedicated to his affection for them. He says it’s in his blood; he’s a fourth generation beekeeper whose family hails from Crete. At StoryCorps, Anthony talked about what drew him to working with bees, and what he’s learned from them. Tony retired from the NYPD in 2014. He now works as a private consultant and contractor removing hives and swarms all over the New York City region.